Prophet Edward David Owuor of Repentance and Holiness Ministries is a controversial man neck deep with scandals; ranging from brainwashing to fake prophecies. It has also come to Kahawa Tungu’s attention that the man who has apparently been to heaven and back, was before being anointed as a “Man of God” accused of sexually assaulting a woman. The woman in question has been identified as Hua Zhu. According to documents seen by this writer, Ms Zhu sued the fake prophet, a co-worker at the Department of Transportation, Federal Aviation Administration in the office of the Civil Aerospace Medical Institute for sexually assaulting her on September, 4, 2002. 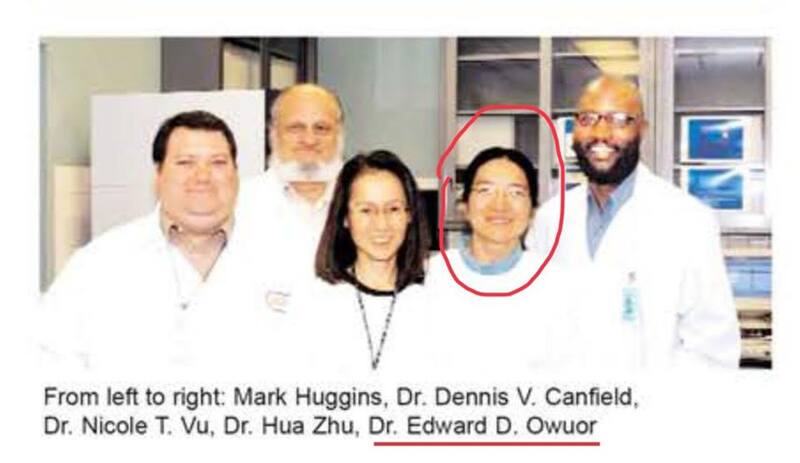 At the time, Owuor was a contract scientist. Later that day, she explains, at around 11 am, the false prophet as many have referred to him “induced her to take more alcohol which in this case was vodka. He would later take advantage of the situation and sexually assault. Her supervisor, Nicole Thi Vu found her on the floor writhing in pain. She and Owuor after office hours moved her to Ms Thi’s car and later to her home. Upon returning to work on September, 5, Owuor made traumatizing “sexually explicit statements and invitations” to Ms Zhu. When she threatened to take action against him, Ms Thi advised her to treat the foreigner with kindness and invite him for Thanksgiving dinner. Unshaken, the complainant reported the assault after which Ms Thi would fabricate a sexual assault report indicating that she (Zhu) was harassing the former. This was on November 24, 2003. On January 16, 2004 she was irregularly fired from her job. The “man of God” who claims that he will be assassinated in Jerusalem in 2004 launched his ministry and has never returned to the US. He has over the years prophesied doom upon the US of A such as the Hurricane Katrina but it is important to note that the western country has been hit by natural disasters one too many times. Kahawa Tungu has also learnt that Owuor is is yet to set foot in Israel as well, a country in which he resided for a couple of years. Here, we understand, he lived with an Israeli woman and together they sired a son. His stay was cut short when the woman’s parents demanded that he convert to Judaism. While in the US a Facebook user Ikev Ivooke says, the prophet was in a relationship with one Dawn Marie Vogel. But according to her parents, he later abandoned her after driving her to bankruptcy.